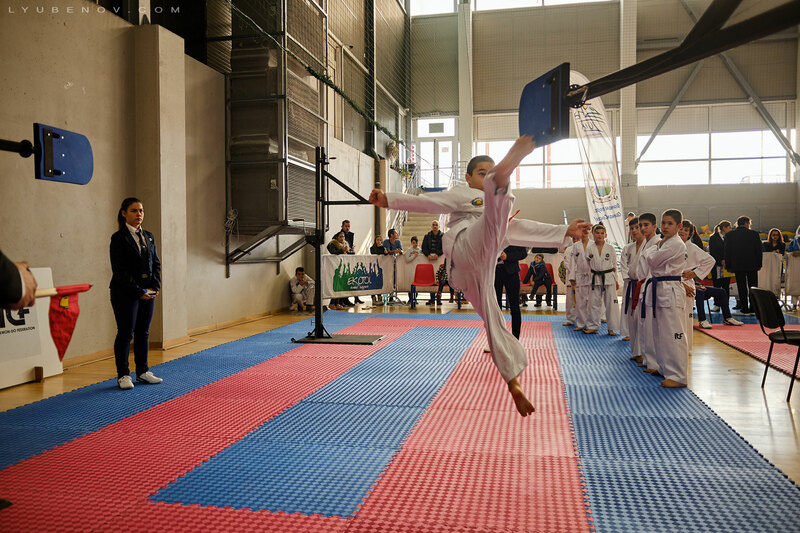 On 1-2 December 2018 in “Arena Armeec” small sports hall, Sofia, Bulgaria was held „Sofia Open 2017“ Taekwon-Do tournament organized by Bulgarian Association of Taekwon-Do and Central Police Taekwon-Do Club together with the Sports Association of Ministry of Interior of Bulgaria. In the competition participated 384 athletes aged 6 years and above representing 29 clubs from Bulgaria, Greece, Moldova and England. The participants competed in the individual disciplines of Sparring, Pattern, Special Techniques and Power Test. The Chief Umpire of the Tournament Hristiyan Tsankov managed 5 rings with 70 Umpires using BulScore wireless electronic system in all dojangs. Official guest of the event was Assoc. 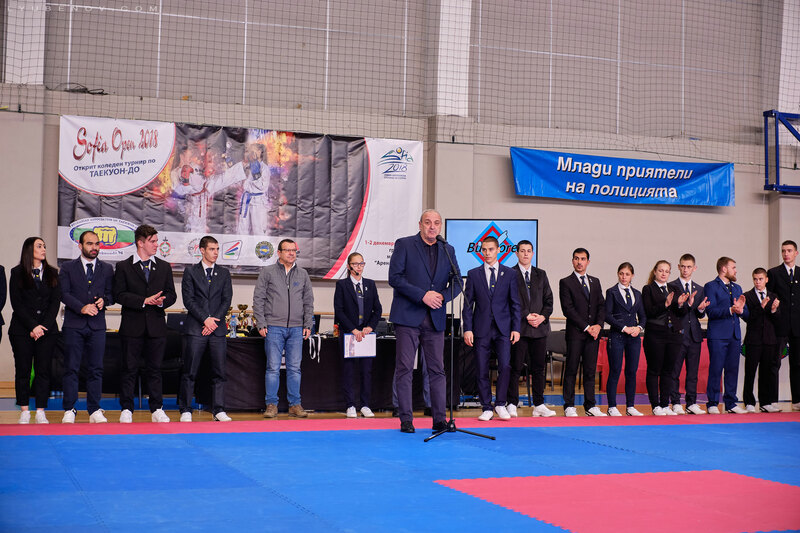 Prof. Stoyan Andonov Deputy Minister of youth and Sports who greeted all participants and officially opened the Tournament. 3. CPTC 97 School - 12 gold, 11 silver, 9 bronze. 3. SC Vazrazhdane – 2 gold, 2 silver, 1 bronze. 3. TC “Levski” 61 School – 543 points.